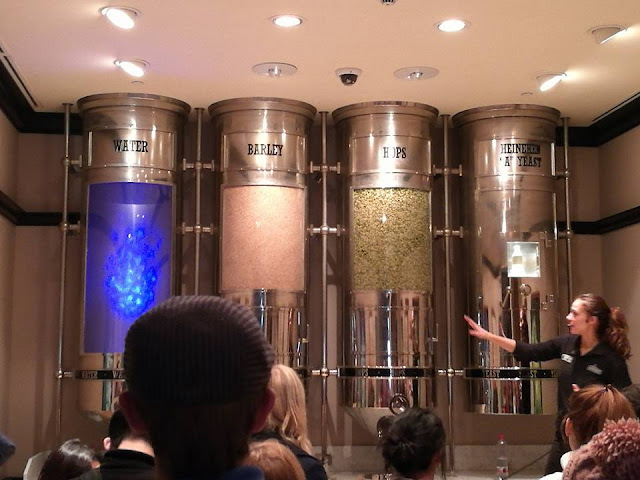 If you think that the Heineken Experience is just another beer factory, you are entirely wrong. The Heineken factory is located elsewhere and the Heineken Experience (as the name suggested) is a hub where you learn everything about the internationally famous beer brand. Is children below 18 allow? Yes. Provided accompanied by adult and the child is not given drink coupons and not allowed to drink alcohol beverage in the premise. How much is the ticket? It's 16euro for one adult and children from 12-17 years old pay 12.50euros. Do you need to show ID prior to entering the place? Yes. You can use your passport or national ID to prove you are 18 above. 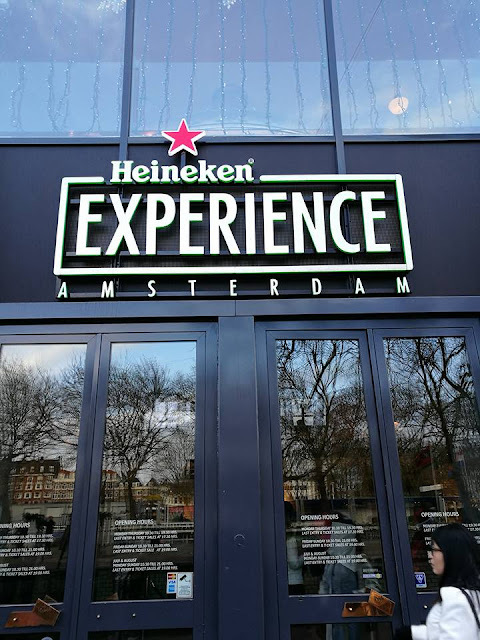 I was thinking that the Heineken Experience would be a boring place, mainly because I don't drink. 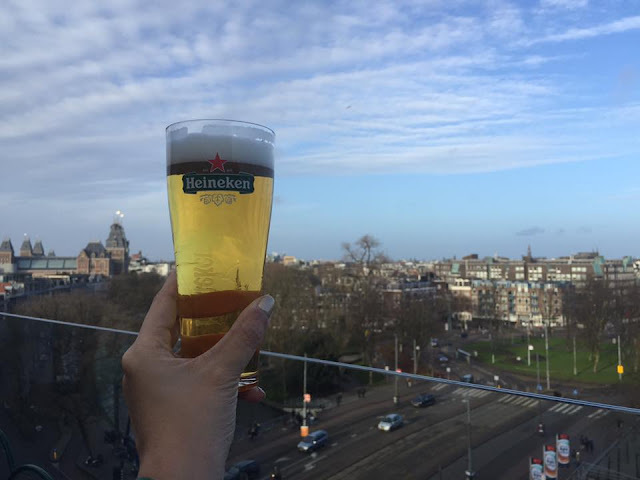 I am not interested in beer nor alcohol, but I didn't mind accompanying the mister because the Heineken Experience was one of his bucket list for Amsterdam. The trip exceeded my expectation. This is why I am going to show you what are the five things you can do at Heineken Experience. Amsterdam do not have a lot of high rise buildings, therefore there are only a few places where you can have a bird's eye view of the city. The Heineken Experience rooftop bar has a fairly good view of the town and it is probably the best place to enjoy your cold beer while watching people busy about their daily lives. You can't say that you've visited the Heineken Experience without participating in the beer tour. You will learn about how the beer is made. Surprisingly, there are only four main ingredients in every Heineken beer, they are water, barley, hops and yeast. You will also get to go through every processes and partake in the mock process. I did help out a little in grinding the barley. There are many high technology games which keeps the visit really fun. I bet this would be the best place to bring your kids. 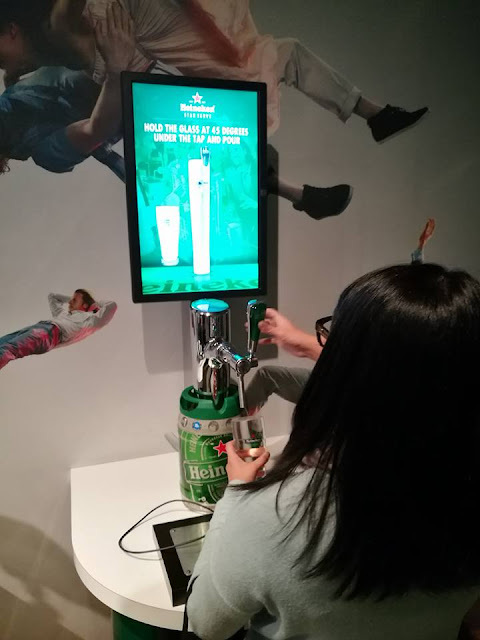 Since Heineken is the main sponsor of many sporting events, you can also find mini sports such as football, rugby or snooker game at the game room. I think I enjoyed myself the most at the games section on top of the veranda view at the rooftop bar. Like I said I'm not a fan of beer and alcohol. 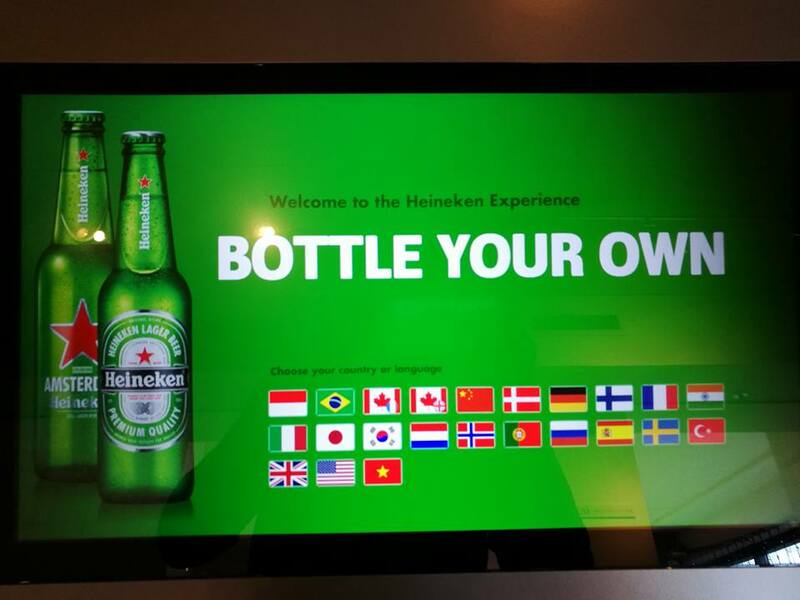 But I do agree that the beer at the Heineken Experience completely blew my mind (not literally). They're freshly served and you can taste the smooth quality of the beer. Unlike any other Heineken beer that has been bottled or canned. You can see the bubbles floating from the bottom of the glass and it continues to float until the last drop of your beer. The Heineken Experience is really easy to access to. I walked from the Rijksmuseum (where the I love Amsterdam sign is) which is only 5 minutes away. Alternatively you can take tram or buses that stop directly in front of the Heineken Experience. I do suggest you to go there. The ticket is not expensive and it is definitely going to be one of the major highlight of your trip.